Imagine a technology that allows us to see into all places and all matter. Or imagine one that gives us the power to communicate across the vast expanse of the solar system in mere minutes. 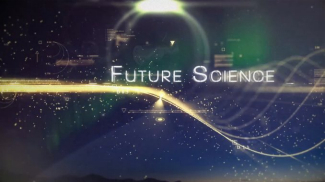 This week on The Solari Report, Ulrike Granögger presents the first episode of our new series Future Science. She takes us into the subatomic world of physics – into elementary particles called muons and neutrinos – and the implications of our growing understanding and application of knowledge about them. This includes a discussion of the Ice Cube Neutrino Observatory in Antarctica. Extraordinary scientific and technological advances are driving the shifts in governance and resources underway. One of my goals for the Future Science series is to give you access to knowledge about advances that Ulrike considers important. Better it is to appreciate what inspires change then simply to respond to the changes as they impact our lives. Why should billionaires and the “breakaway civilization” have all the fun? Let’s all be part of inventing our future – this is part of coming into our personal power. Yet, with the rare exception of Dr. Farrell’s books and website Giza Death Star – I have found very few sources that attempt to cover developments in science and technology and connect the dots to the spiritual, cultural, political and economic shifts underway. As many of you know, every year I travel to Europe to study with Ulrike and learn from her investigations and research. Consequently, it is a great privilege to make her work accessible to our subscribers at last. For Money & Markets this week I will be in the Netherlands. I will discuss the equity and bond corrections underway. Clearly, the financial market particles are colliding at greater speeds than usual! For Let’s Go to the Movies this week if you have not heard Ulrike’s introduction to the Future Science series, here it is again. Post your questions for Ulrike at this commentary and post or e-mail your questions for Ask Catherine.